Download a copy of our quick registration form. 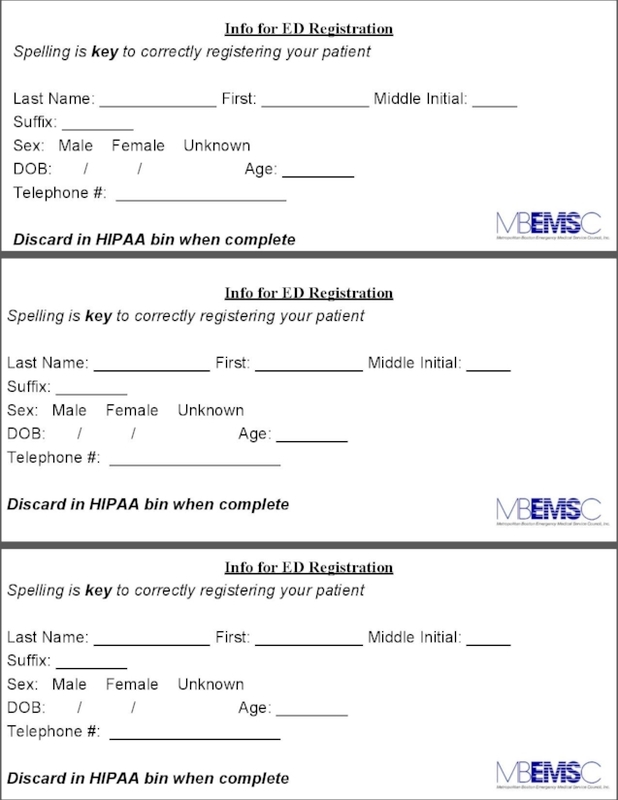 The MBEMSC and the PIER Committee advise all EMS providers to collaborate with the registration staff for the best process at your site for quickly registering patients. Our goal is to work with ED registration staff and EMS providers to create an awareness. We also welcome feedback, and look forward to collaborating with everyone to make the initative as successful as possible.